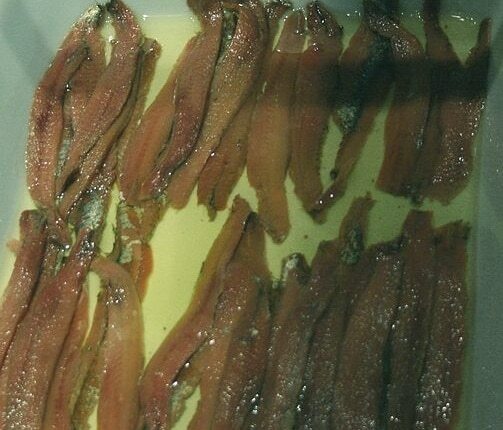 Traditionally, anchovies are gutted, salted, and then packed in oil or salt. They have a characteristically strong flavor and deep grey flesh when salted. They may also be pickled. 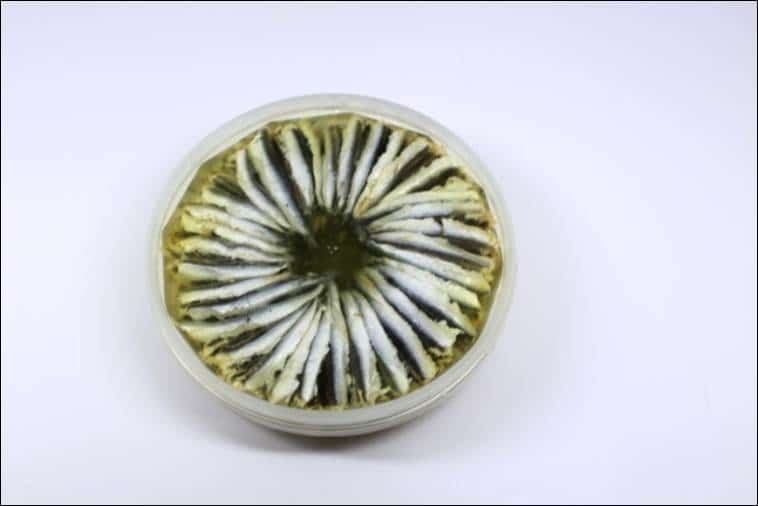 Pickled anchovies are milder in flavor with white flesh. A little goes a long way! 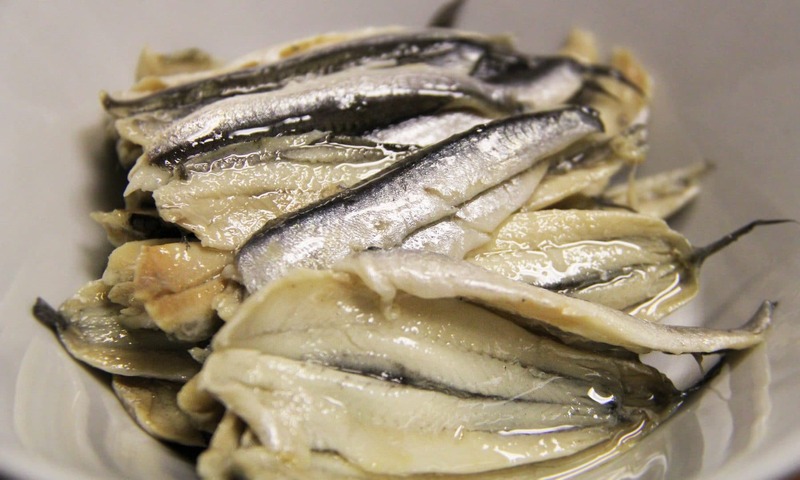 Beyond Caesar Salads and pizza, anchovies can add a unique flavor to many dishes. Add them to pasta dishes and sauces, or try them on a traditional onion tart. Some Chefs use Anchovy butter to add a unique flavor to roasted vegetables and meats. If your chef is using Anchovies in an unexpected way (say, in a Bolognese Sauce), make sure you double check on your guests potential allergies. 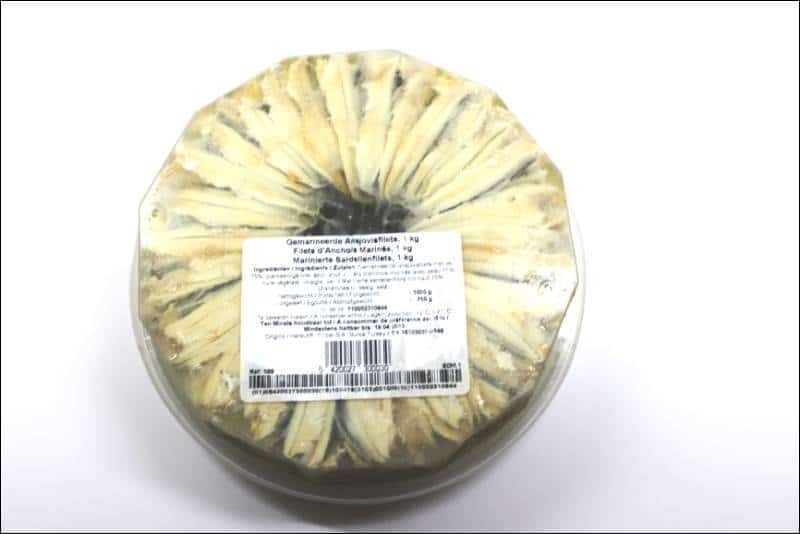 Anchovies are an easy way to add a shelf stable seafood item to your display case.